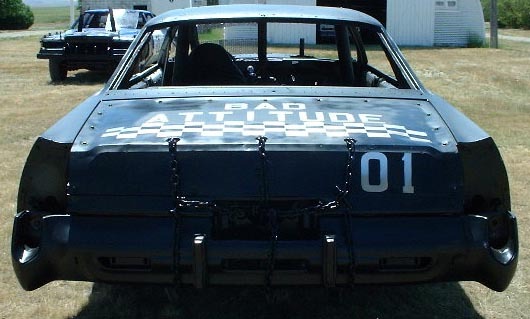 I ran this car in the 2003 Blaine County Fair in Chinook. It ran very poorly and kept stalling out. 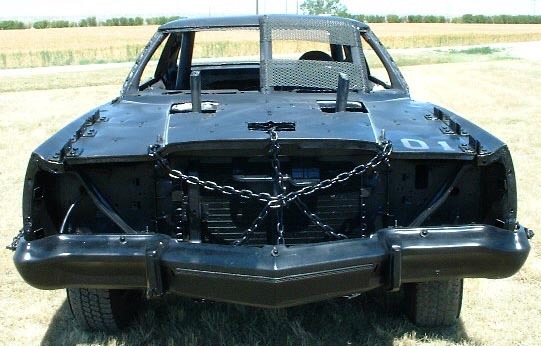 It took a little sheet metal damage, so I fixed it up and ran it in the 2003 State Fair in Great Falls. I ended up in third place with it. 2. Very strong front and back-ends. 3. Leaf spring and torsion bar suspensions. 2. Have to hit cars with direct front or back only shots, no hitting at angles or the frame will bend.